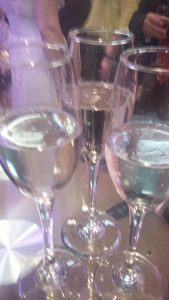 It was with a sense of excitement, tinged with sadness that, a couple of months ago, I celebrated the launch of Another Glass of Champagne. Obviously I was excited because the publication of any novel is a very special moment. To see the words you’ve woven together, that you’ve sweated over, sworn at, caressed, and loved, take their final form is a thrill that never fades. In a world where it is increasingly difficult to find a publisher that will risk its expenditure on printing your book, rather than leaving it as eBook only, the sense of joy is even greater. Author Kit has problems of her own: just when her career has started to take off, she finds herself unable to write and there is a deadline looming, plus two headstrong kids to see through their difficult teenage years…will she be able to cope? My affection for Amy, Kit and Jack comes, not just from the fact I have lived with their unique voices in my head for so long, but because each of them is based on a real person. 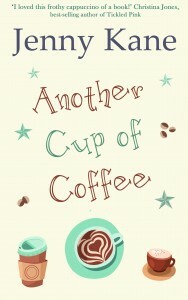 When I wrote Another Cup of Coffee, it was with a sense of trepidation. If those whose essence I’d used to create the three lead characters in the book hadn’t liked the story, I would never have sent it to a publisher to be considered for publication in the first place. Luckily for me, they were- and still are- incredibly supportive of me and my words. I am blessed to have friends who are willing to have their lives expanded into fiction on the page. In fact, it has been immense fun chatting with the ‘real’ Jack and seeing which direction he’d like his ‘on page’ persona to travel. Ever since Another Glass of Champagne came out I’ve been privileged to be the recipient of many requests for more future episodes in the coffee shop saga. Just one more story to see what happens next…. I can’t tell you how flattering that is- and I’m touched and very grateful that my readers care enough to want to know what happens after Another Glass of Champagne ended. I can’t pretend I haven’t thought about it. It would be so easy to write another Pickwicks tale about the characters I love. To take Jack, Amy and Kit on “just one more” turn around the coffee shop block. It would also however, be the height of laziness on my part- and very probably a mistake. We’ve all watched television shows that have done one series too many, and read book series that should never have tried to squeeze out one more novel. I don’t want that to happen to my Another Cup of…series. I’d hate to hear anyone say, ‘those first Jenny Kane coffee shop books were good- but that last one wasn’t up to it really was it…’– I’d be mortified! The little voice at the back of my head told me to call it quits after Champagne, and so I’ve done just that. Will I live to regret the decision? Possibly. I’ve loved writing these books very much indeed. Would I change my mind if a nice film or television producer came along with some screen ideas? Of course I would! Sometimes it’s fine to be a hypocrite!! In the meantime, I shall continue to enjoy sharing the story of Amy, Kit and Jack’s interconnecting lives with you for as long as you’ll put up with me doing so- while also getting down to writing something new. Sticking her head out of the bedroom window, Amy took a huge lungful of fresh air. Even though her morning sickness had passed with merciful speed, the aroma of the paint she and Paul were decorating their spare room with was making her decidedly queasy. Sinking onto the chair Paul had placed in the middle of the decorating chaos, Amy rubbed a palm over her bump in wonder. It seemed to be getting bigger by the hour, never mind by the day. 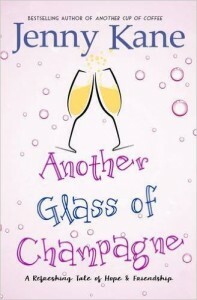 If you’d like to discover how what Jack is up to, then you can find Another Glass of Champagne in all good bookshops and via online retailers (in paperback and e-format). 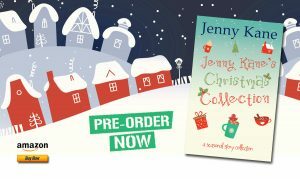 PS – You can pre-order the Jenny Kane Christmas Collection – which contains 3 seasonal Pickwick’s stories!